Is a martial arts villain that faces off against Shang Chi, Black Widow, Daredevil and Elektra. Ghost-Maker was born in the Mongolian steppes of the USSR. He is the son of a Russian diplomat who identifies his sons talents for fighting at a young age. The USSR has the boy trained by two of the best martial artists from China. He is trained intensely, without stop for 15 years. He is considered the greatest martial artists in the USSR and made into an agent of the KGB. He sent on a mission to prove himself and he successfully assassinates 10 western agents. The Ghost-Maker attacks a base in Sussex commanding a group of agents. There he first runs into the famed martial arts master Shang Chi. Ghost-Maker is excited at the prospect of fighting and besting Shang Chi. However, during the battle he decides he must leave and takes off using his jet pack. Shang Chi hunts Ghost-Maker down. They fight by car, train and boat eventually Ghost-Maker finds a box and pulls from it a special weapon, Death Dust. He fires the death dust with the intention of killing the Queen England and Shang Chi. Shang Chi and Ghost-Maker continue to battle as it begins to rain. The rains pulls down the deathdust which destroys. The dust makes the rain deadly, as the dust is being pulled down from air through the droplets Shang Chi manages to escape the rain but the Ghost-Maker is caught in the death rain, his skin melts and he dies. The Ghost-Maker is resurrected Lord Daito the leader of the Hand ninjas. 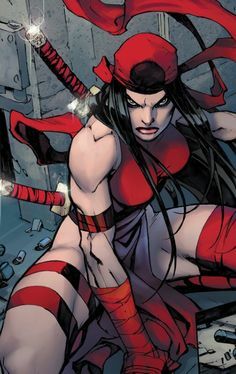 He adds Ghost-Maker to his roster of ninja warriors and sets him lose in a battle against Daredevil and Elektra. However, Shang Chi surprises him by also showing up. Daredevil, Elektra and Shang Chi together manage to defeat the Ghost-Maker. During the battle he is killed again but once again the Hand resurrects him. The Hand debate whether he is ready or not to serve them. The Ghost-Maker later appears in Vienna where he is defeated by the Heroes for Hire.